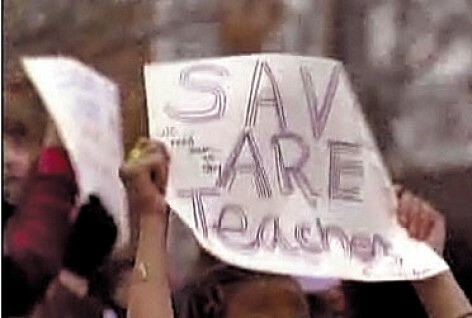 Proof positive you don’t have to be smart to be a teacher, or is it just in Wisconsin? 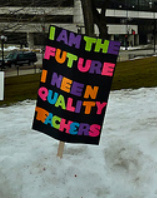 I know I know not all the protesters in Madison WI are teachers but you would think that since they are the most vocal they would be ashamed to have these signs flashed around. If in deed that some of these sign holders are teachers doesn’t it make you wonder why our school systems are receiving failing grades while we throw more and more cash at them to be fixed? No? I wonder too just how many handed their students markers and had them helping to make the signs? 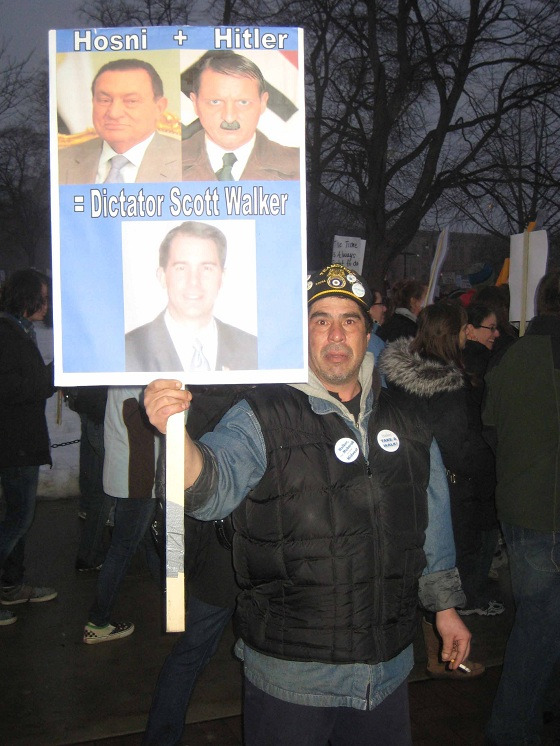 No doubt a product of the education system in Wisconsin…. 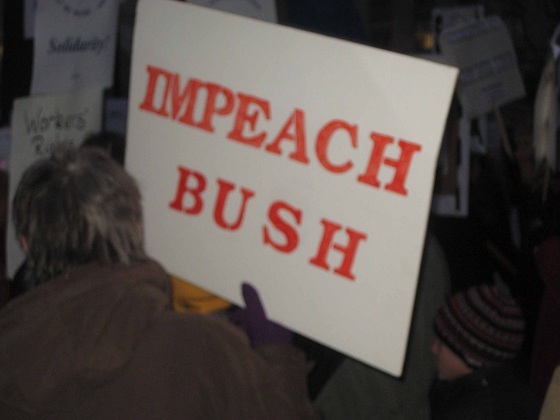 There were also a few … well let’s just say kinder gentler non rhetoric protesters there as well … one thing I have to say is they must have been from out-of-state …but they could at least spell …. 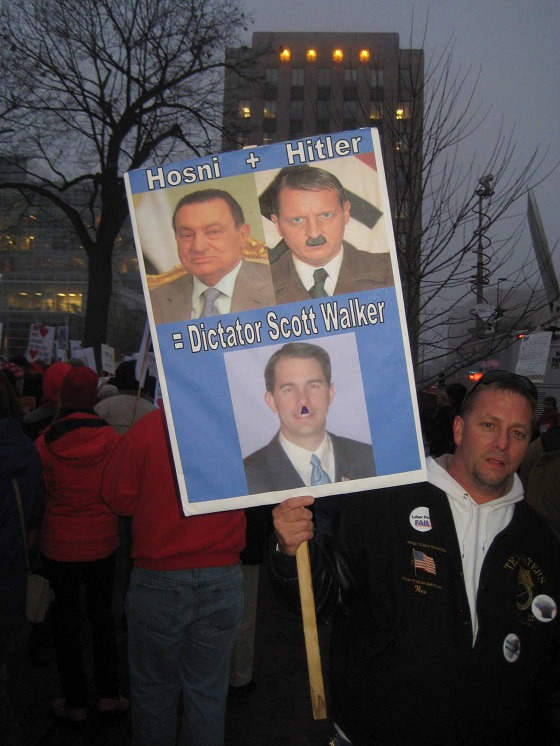 these were not the only ones referencing a dead and a recently ousted dictator but isn’t the left that always complains that it’s supposedly the right wings nuts that hold up these signs? I know I have not seen very many photos showing the Tea Party supporters that were there but since I have not seen any before that were not shown to be plants or fakes I can lay good odds that there were none. 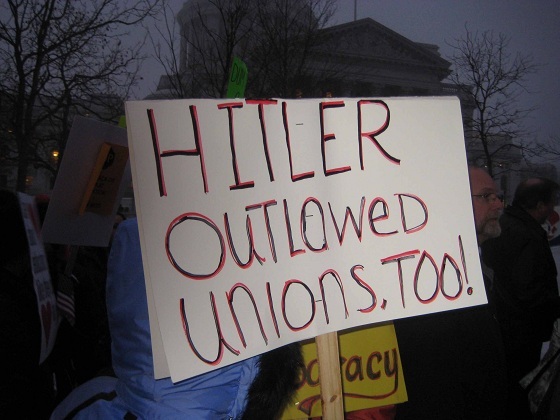 Now don’t get me wrong, if I thought the public employees of any state were getting hosed I would be more kinder and gentler… no not like these protesters…toward them. But as it is the public unions tell you that you don’t have to be a member but you still have to pay them dues. 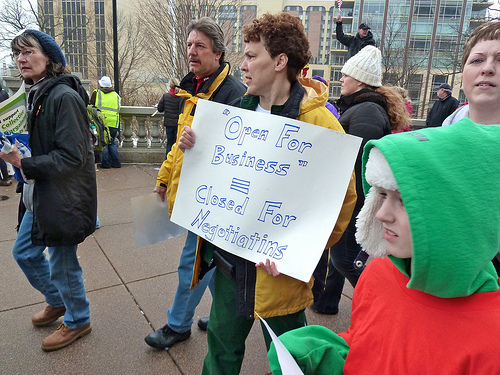 That I feel in and of itself is a good enough reason to want to end collective bargaining. That and what some fail to remember is that once you invite a union into your shop it is nearly impossible to get them out. In my OPINION the unions may have given us a lot but they have also taken a lot away from us, and with dwindling membership numbers they are perhaps more than desperate to keep a hold on what they do have. I read a comment the other day about how many teachers struggle to make it on $51,000 a year…. I wish I were struggling on 51k a year and didn’t have to pay my health insurance or pay into my retirement… It’s high time we did something about the out of control cost of education and started making the schools accountable for the students education.